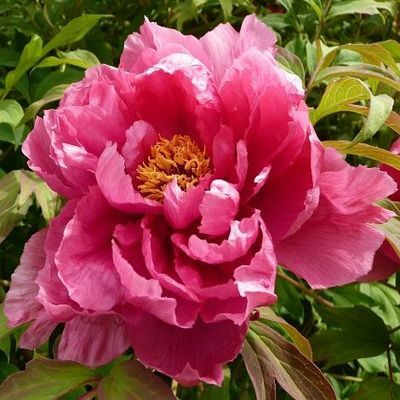 You will find here a selection of the most beautiful tree peonies, all fully frost-resistant. Tree peonies have perennial woody stems. Their leaves fall off in the autumn, but their stems not die back after the growing season. Tree peonies blossoms in mid to late spring (May), usually two weeks before Lactiflora herbaceous peonies. 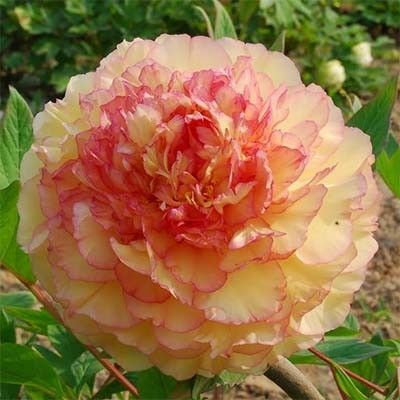 Their double, semi-double or single flowers are unrivaled in size, color and fragrance. All of them have gained increasing popularity in recent years. 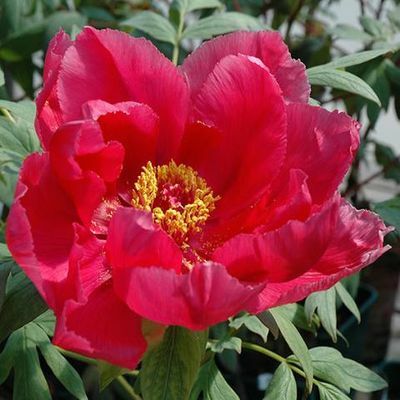 Tree peonies love sunny or semi-shady place in any sheltered position, 5-6 hours of sun is ideal. They like well-drained fertile, neutral or sligtly alkaline soils. Once established, they are fairly drought tolerant... and also deer resistant. 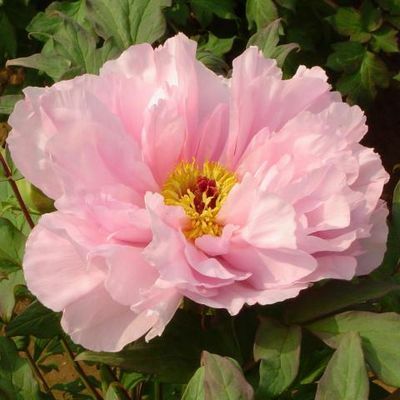 Though somewhat slow growing, a mature tree peony can have over fifty flowers and will bloom for about two weeks. 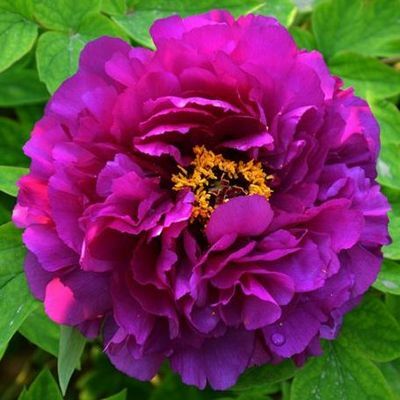 Bareroot tree peonies need to be planted in September/November, or early spring with the grafting union placed at least 10 cm below the soil surface. Tree peonies bloom on ‘old wood’ , so do not cut back in the fall. Just prune back any dead growth in spring as soon as the buds turn red. 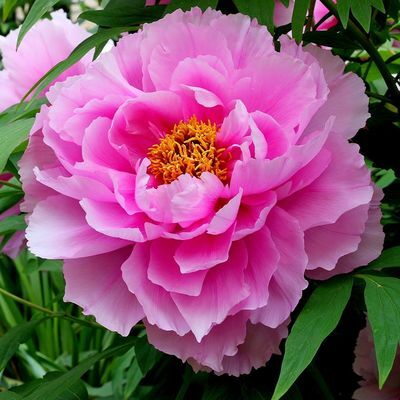 Tree peonies can be planted solitarily or in combination with other shrubs or perennials. Orders all year round. We offer strong 2 years old plants with 2/3 stems. All of them are potted in containers, so we do not send them by post (only personal handover, in Germany: Berlin, Freising, Reutlingen). Large (20 cm) dark pink to carmine pink, semi-double flowers. Shrub height 150 cm, width 100 cm. Very nice and often recommeded sort. Flowers large (15 cm), semi-double, light pink. Flowers lightly fragrant. Shrub height 150 cm, width 100 cm. Very large (25 cm) single to semi-double flowers, cherry-red with lighter petal edges. Wonderful shrub, grows up to 150 cm height and 100 cm width. 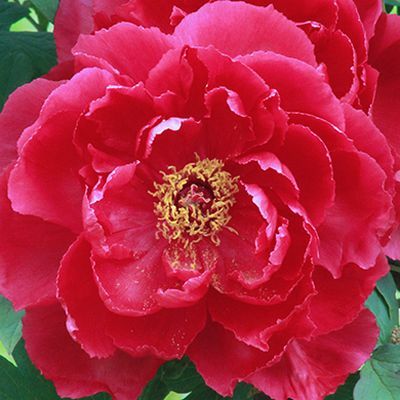 Large (18 cm) semi-double flowers, with bright carmin-red petals that are often curled. The vigorous plants reaching height of 1.5 m and width 1 m.
We guarantee all of our plants to be true to name. If for any reason you are not completely satisfied, notify us at once upon receipt of your plants and we will replace plants under complain. However, we reserve the right to refuse replacements if plants have not been properly cared for once they are delivered.